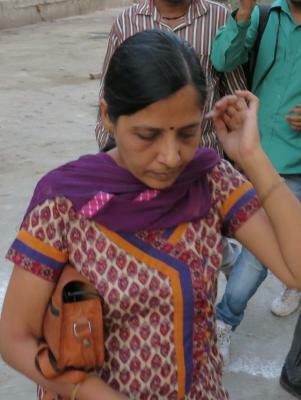 New Delhi July 12 (IANS) In a rare political response Delhi Chief Minister Arvind Kejriwal s wife Sunita on Thursday attacked the Bharatiya Janata Party (BJP) for misusing power. "It is the tendency of the BJP to misuse the power. They are not interested in working for the general public " she said in a tweet in response to the Chief Minister s tweet in support of Swaraj India chief Yogendra Yadav after raids on his former colleague s family members and demanding Prime Minister Narendra Modi end his vendetta politics.